Welcome to another Blog Highlight where you will see some truly inspirational creations from all over the world. The theme this month is Teachers Gifts. It is so wonderful to thank our educators for all their hard work and get ideas before the end of the year is suddenly here! This gallery will give many ideas on what they can do to say thanks to their childrens educators. Here is the project I made. Such a quick and simple idea, which is great when you are pressed for time or have a lot of gifts to make. These would be perfect for neighbours, sports coaches and friends as well. All I did was grab a jar and fill it with cookies. The jar I had in my cupboard, actually I have quite a few in my cupboard. I bought them from Woolworths when I wanted to make some homemade jam. Yeah well the jars were still in the cupboard and the strawberries got eaten. I love being able to repurpose items I already have. 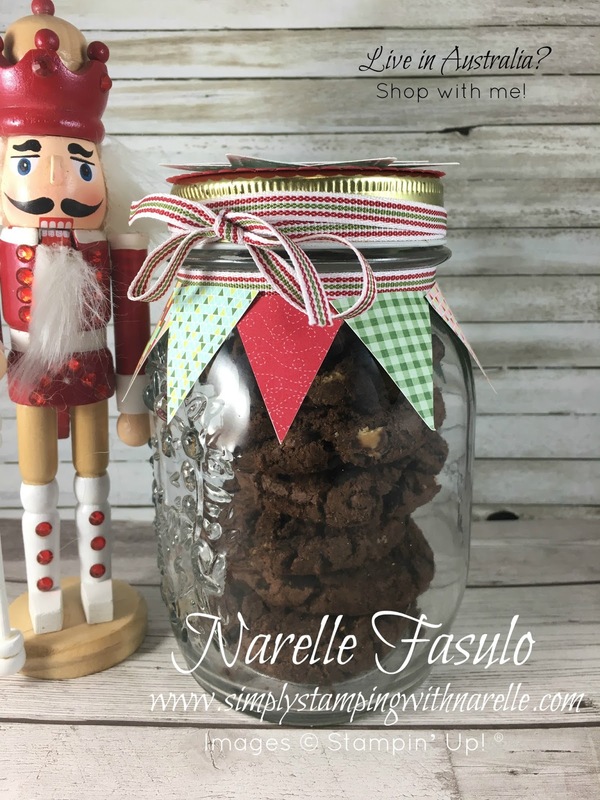 I filled the jar with some cookies from the pantry, but if you have the time, you can make your own cookies. Or even fill the jar with hot chocolate mix and marshmallows. Yum! 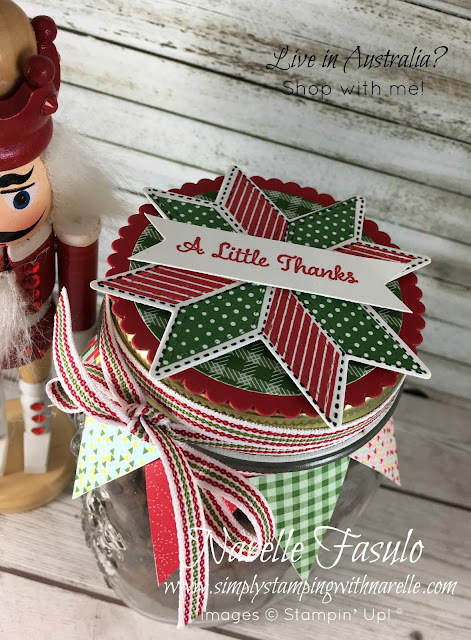 To decorate the jar, just die cut a circle and a scalloped circle and glue to the top of the lid. Then stamp and die cut the star image from the Quilted Christmas Bundle that is coming in the Holiday Catalogue. Using dimensionals, adhere this to the lid. Wrap ribbon around the side of the lid and tie a bow. Wrap some more ribbon around the top of the jar and glue in place. The flags have been cut out of the patterned paper that is also in the Quilted Christmas Product suite. I love this suite and I am sure you will too. If you haven't got a Holiday Catalogue yet and you are in Australia, then click on the image below to get one. I have a special offer in with the catalogue, so make sure you look out for it. Did you know that you can vote for my project? I would really appreciate it. 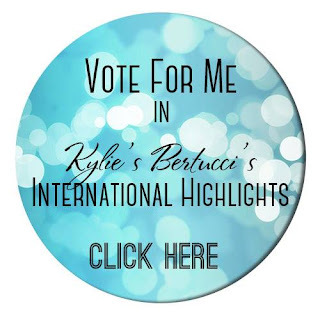 So click on the image below to see all the great Teacher Gifts projects and vote for me.